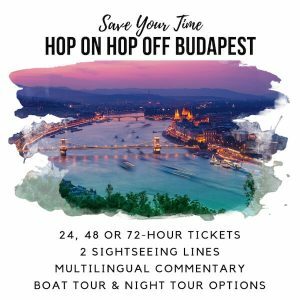 Wondering what’s the best time to visit Budapest? 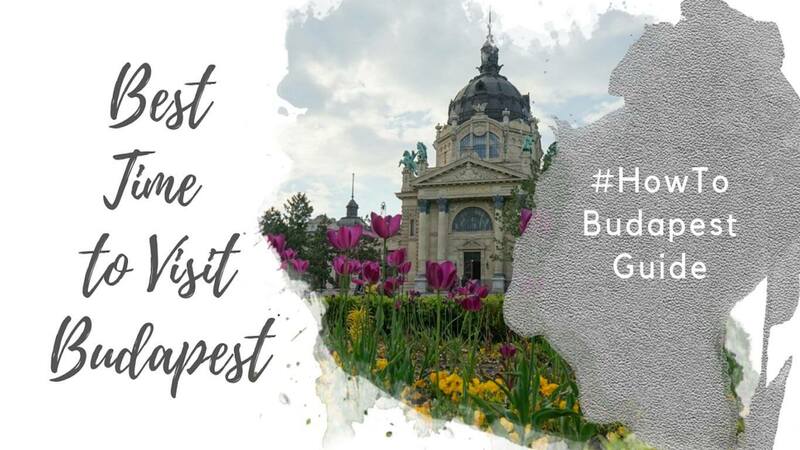 In this post, Canadian expats living in Budapest outline the pros and cons of visiting Budapest during the different months and seasons. What’s the Best Time of Year to Visit Budapest? Although we think Budapest is great any time of year, we recognize some parts of the year are more appealing. For most tourists, Spring, Summer and Fall are the best times to visit Budapest. Visiting Budapest in the winter, particularly around the Christmas season, is also lovely. In early spring, the city’s terrace beer gardens and sidewalk cafes spring to life, often remaining open until mid-October. Throughout this golden season, Budapest feels like one of the best places in the world. The sun is shining, the people are smiling, and the laid-back lifestyle Budapesters enjoy is on full display. In mid-to-late November, Budapest Christmas markets pop up around the city, bringing with them a sense of cozy cheerfulness. The two main Budapest Christmas markets are in Budapest’s 5th district at Vorosmarty Ter and in front of St. Stephen’s Basilica. Each year, the markets fill-up with locals and tourists making the best of the cold, dark days. 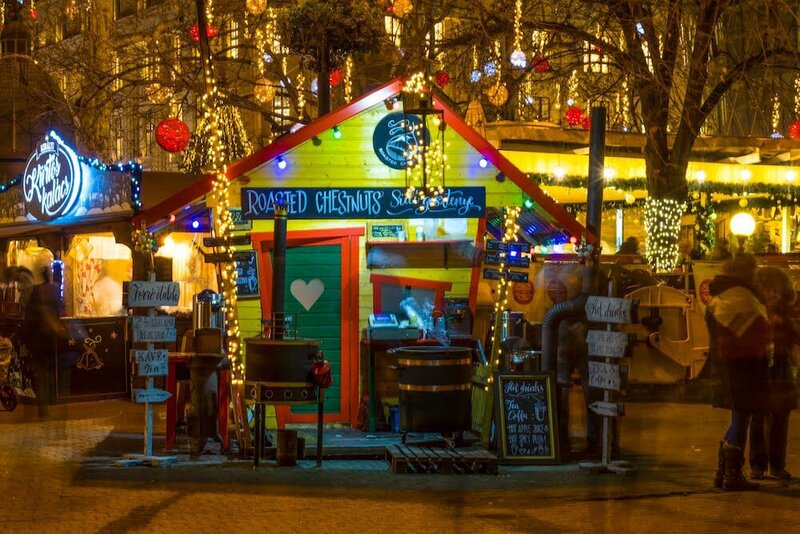 Hearty Hungarian food and mulled wine keep you warm while shopping for treasures from local makers. What’s the Weather Like in Budapest? Budapest sits around 47.5° N, putting it on roughly the same latitude as Seattle, Washington and Zurich, Switzerland. Budapest winters are typically cold and dry. Although it’s not uncommon for several weeks of mild weather, cold snaps are also possible. Expect anything from -10°C / 14°F to 10°C / 50°F during the day. Average highs in December hover around 3°C (37°F), with lows of -1°C (30°F). Expect 40 mm (1.57 inches) of rain/snow throughout the month on average, spread across 12 days. Christmas is in full swing in Budapest in December, as evidenced by the gorgeous lights along Andrassy Avenue and at the parliament building, the cheerful #2 Christmas tram (which is decorated in Christmas lights), and the many Budapest Christmas markets that spring up around the city! Pack in layers, and expect the possibility of snow and ice during your trip. Don’t sweat the cold weather too much – it’s the perfect excuse to indulge in some hearty Hungarian cuisine! Average highs in January hover around 1°C (34°F), with lows of -3°C (27°F). Expect 40 mm (1.57 inches) of rain/snow throughout the month on average, spread across 11 days. Expect cold, mostly clear or cloudy days, with relatively little precipitation. Pack layers so you can adjust your wardrobe based on the weather and shifting temperatures. Bring winter boots that are comfortable to walk in and have good grip, in case the sidewalks are icy. If you decide to visit Budapest in January, check to see if the ice skating rink at City Park is open – a perfect winter activity! Average highs in February hover around 4°C (39°F), with lows of -2°C (28°F). Expect 30 mm (1.18 inches) of rain/snow throughout the month on average, spread across 7 days. As with January, expect cold and mostly clear or cloudy days, with only a bit of precipitation throughout the month. Bring and wear multiple layers, so you can keep your temperature comfortable no matter what the weather is. You still need to consider winter boots and icy sidewalks when you’re packing. Budapest is a popular destination for escape rooms, so if you need to escape the cold for a bit, do so in one of the many escape rooms throughout the city! Around the end of March, Budapesters sense the coming end of winter weather. People smile more, the sun shines more, and the cold becomes more tolerable, knowing the end is in sight. Spring in Budapest is mild and damp. Although the rain isn’t all-consuming, you can expect some rain, so pack accordingly. Average highs in March hover around 10°C (50°F), with lows of 2°C (36°F). Expect 40 mm (1.57 inches) of rain/snow throughout the month on average, spread across 11 days. The coldest days of the year start to fade from memory in March. 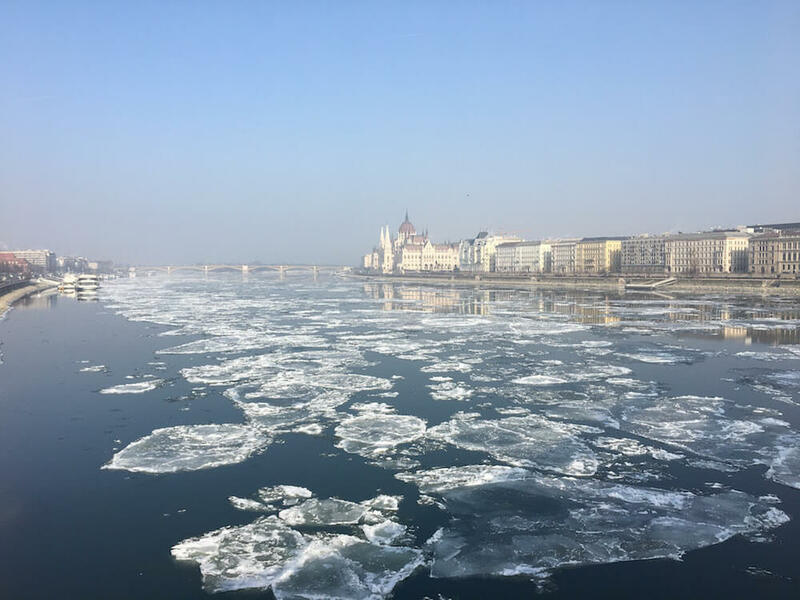 At the beginning of the month, follow the advice for a January and February trip to Budapest: cold, clear days, potentially icy sidewalks, and lots of layers. As the month wears on, however, you can expect spring weather. Average highs in April hover around 15°C (59°F), with lows of 6°C (43°F). Expect 40 mm (1.57 inches) of rain throughout the month on average, spread across 13 days. Spring weather should be in full swing in April, and the city will feel as if it’s springing to life after the winter months. Most outdoor beer gardens and terrace bars open in early April, and Budapest’s most famous street food spot, Street Food Karavan, should also be open in the lively 7th district. Bringing some warm clothes is still important, as the evenings will feel crisp and cool. Expect at least some rain on your trip. Average highs in May hover around 21°C (70°F), with lows of 11°C (52°F). Expect 70 mm (2.76 inches) of rain throughout the month on average, spread across 14 days. In May, the feeling that summer is just around the corner takes over, and Budapesters take to the garden bars in full force. The 7th district has some of the most popular, including the much-loved Koleves at Kazinczy utca 41. There’s at least some rain on many days, although it’s still not a lot: average rainfall in Budapest in May is around 70 mm, or 2.76 inches. Bring a good raincoat or travel umbrella with you! Budapest summers are hot and sunny, with many people retreating to nearby Lake Balaton to escape the heat. Temperatures ranging from 30°C / 86°F to 35°C / 95°F aren’t uncommon. As such, choosing a hotel with air-conditioning is essential! Average highs in June hover around 24°C (75°F), with lows of 14°C (57°F). Expect 60 mm (2.36 inches) of rain throughout the month on average, spread across 12 days. Although average highs are around 24°C in June, some weeks can get much warmer, so prepare for a relatively warm trip, and pack a few different layers so you can adjust your wardrobe. Again, there will be some rain, so plan to bring a light outer layer that’s waterproof, or a compact travel umbrella. In June, and for the rest of the summer, you’re likely to see some spectacular sunsets, best viewed from the Citadel or Castle District! Average highs in July hover around 26°C (79°F), with lows of 16°C (61°F). Expect 40 mm (1.57 inches) of rain throughout the month on average, spread across 12 days. Many Budapesters escape the city in July, heading to nearby Lake Balaton for weekends, or even for weeks at a time! That leaves the city less congested, especially on public transit. Expect hot days and evenings at this time of year; while annual average put the highs around 26°C (79°F), temperatures around 30°C (86°F) aren’t uncommon. Pack a hat, sunglasses and sunscreen, and look for a hotel with air conditioning. Average highs in August hover around 26°C (79°F), with lows of 15°C (59°F). Expect 70 mm (2.76 inches) of rain throughout the month on average, spread across 10 days. Summer heat continues throughout August, so don’t be surprised if the weather forecast calls for temperatures in the 30s°C / 80s°F, with long stretches of sunshine. Although August receives some of the most rain of the warm months (70 mm / 2.76 inches on average), it’s rare to have rain for days on end, and the rain tends to blow over quickly. If you want a relaxing oasis in the city, head to Margaret Island in the 13th district, a popular summer hang-out for locals, and the perfect spot for a picnic! Fall in Budapest is warm and quite lovely. You rarely need more than a light jacket, even into late October. Although it does rain, it rarely rains all day, making it possible to get out and explore without an umbrella at least some of the time. Average highs in September hover around 22°C (72°F), with lows of 12°C (54°F). Expect 70 mm (2.76 inches) of rain throughout the month on average, spread across 11 days. 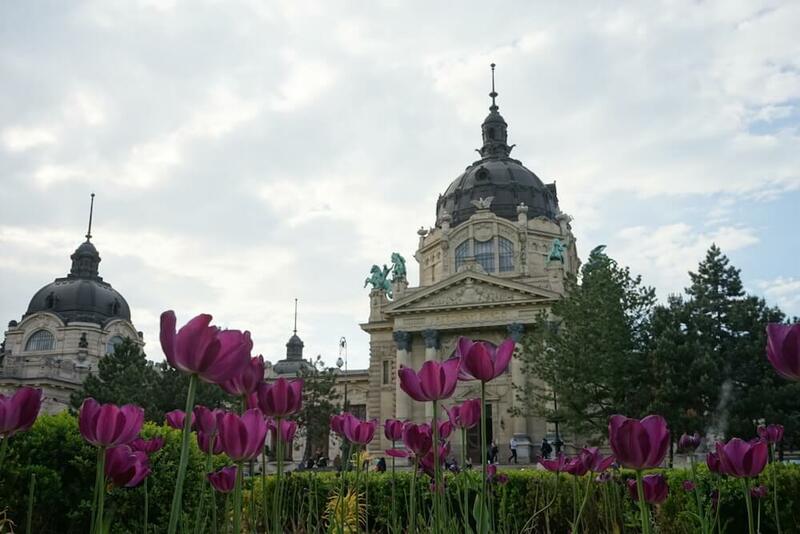 Although the temperatures cool slightly in September, it’s still a gorgeous time of year to visit Budapest, with 70 mm / 2.76 inches of rain throughout the month, on average, and comfortable daytime highs of around 22°C (72°F). The city’s terraces are still open in September, and there’s still a lively, summer-loving vibe for most of the month. As a bonus, the peak of the tourist season is over, so you’re less likely to encounter long lines at Budapest’s most popular attractions. Average highs in October hover around 16°C (61°F), with lows of 7°C (45°F). Expect 60 mm (2.36 inches) of rain throughout the month on average, spread across 12 days. October really begins to feel like autumn in Budapest, and you’re likely to get a mixed bag of weather, with some beautiful sunny days, and some cool and rainy days as well. Many sidewalk cafes are open until the end of the month, so take advantage when you have sunny weather. And think layers when it comes to packing, as you’ll likely need to adjust your wardrobe with the ever-changing weather. Average highs in November hover around 7°C (45°F), with lows of 2°C (36°F). Expect 60 mm (2.36 inches) of rain throughout the month on average, spread across 13 days. Snow is rare in November, but not unheard of. November can be a real mixed bag when it comes to weather, and we recommend bringing waterproof footwear and a good raincoat, as it’s not uncommon for it to rain for an entire day, which can be tough when you’re out exploring. On the other hand, you can still expect some crisp, sunny days throughout the month, and the tourist season has really died down by this point, creating a sweet spot lull between summer and Christmas. Enjoy the lack of crowds, and check out the few Christmas markets that start to open around mid-month! A Christmas market in Budapest. Christmas markets in Budapest start in November. What’s the Worst Time of Year to Visit Budapest? January to mid-March is probably the worst time to visit Budapest, although this really depends on the weather, which can be quite unpredictable. On our first visit to the city, we arrived in mid-February and had a fantastic time and fairly temperate weather, and were able to explore the city to our heart?s content, stopping in for hot chocolate in Budapest Castle District and mulled wine breaks at vendor stands every few hours to stay warm. Last year, however, the city experienced a deep freeze in January and February, with temperatures plunging to -15°C / 5°F. 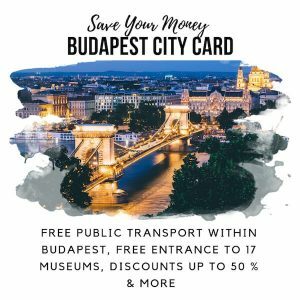 Is it Still Worth Visiting Budapest in the Winter? Yes, of course it is! 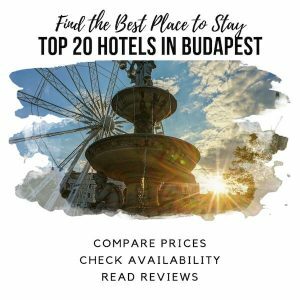 The nice thing about Budapest is there?s always something going on, and none of the city’s main attractions shut down in the off-season, making Budapest an excellent year-round destination. Of course, there is also an upside to visiting Budapest in the winter: far fewer crowds!